Following up on The Failures of the iOS6 Maps Application in which I hoped that Lumatic would be able to provide maps with transit to San Diego. We thank you for being with us over the last year as we’ve built City Maps into the navigation and transit tool that it is today. It has been a privilege to have you. Unfortunately, despite our passion and commitment to our product, we will be shutting the service down effective immediately. We succeeded in growing a core base of loyal users and building a product that we love, but we have not been able to secure the funding we need to survive commercially. As of August 4, 2013, City Maps WILL NO LONGER BE OPERATIVE. Please be assured that any account information we have for you will be safely deleted. Feel free to contact us at feedback@lumatic.com with any questions. 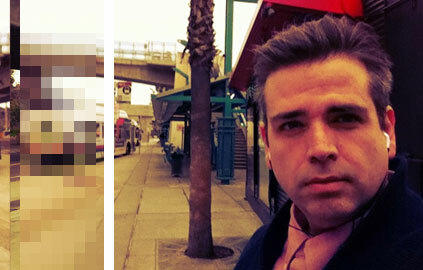 Copyright © 2013 Lumatic Inc, All rights reserved. You are receiving this email because you are a City Maps app user and have created an account with us. There’s a blog post, though I’m not sure how long it will be up given it’s misformatted. My guess is Google’s Maps app, which is free, must’ve been too much competition. # 2013 August 2 comments lumatic maps transit . Molly and Armitage ate in silence, while Case sawed shakily at his steak, reducing it to uneaten bite-sized fragments, which he pushed around in the rich sauce, finally abandoning the whole thing. “Jesus,” Molly said, her own plate empty, “gimme that. You know what this costs?” She took his plate. “They gotta raise a whole animal for years and then they kill it. This isn’t vat stuff.” She forked a mouthful up and chewed. The “Vat Stuff” Molly Millions contrasts with an actual steak is now here. 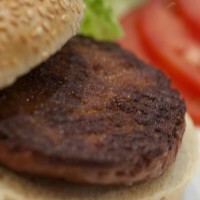 A Lab-Grown Burger Gets a Taste Test. More on the Universiteit Maastricht website. # 2013 August Zero comments biotech neuromancer william-gibson . 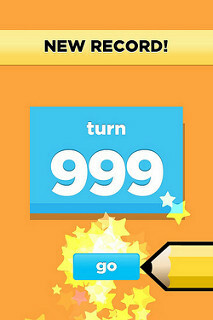 I get so bummed out that OMGPOP Zynga Draw Something tops out at 999. Apparently it used to top out at 99. This is at least better, because so few people are going to play a thousand rounds of Draw Something with another person, but still. It’s a bummer. Leah and I really like it. # 2013 August Zero comments draw-something gamedev games omgpop zynga .